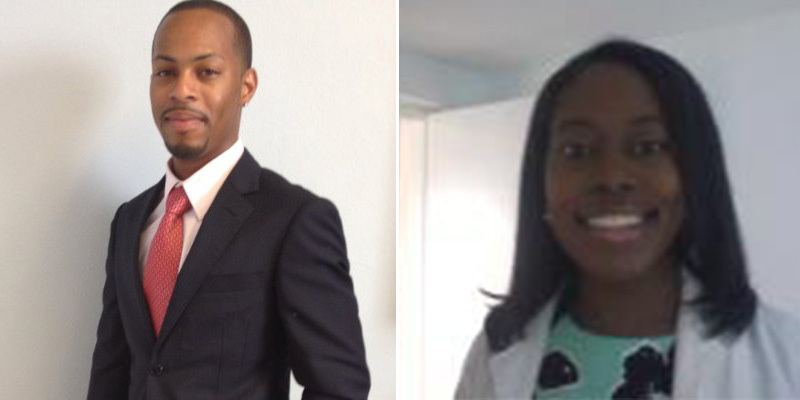 Dr. Kyjuan Brown, Medical Director, welcomes Sasha Benson and Alfred Roberts, Spa Coordinator/Licensed Medical Aesthetician and Office Manager respectively to Northshore Medical and Aesthetics Center [NMAC]. “The addition of these two young, seasoned professionals follows the recent addition of Dr. Stanley James MD and further develops the growing portfolio of Aesthetic Services and Management needs of NMAC,” the Center said. “Sasha Benson joins the NMAC team with 7 years of experience and knowledge in skincare regimes and techniques following her studies and certification from the International School of Skin, Nailcare & Massage Therapy. Sasha’s approach is one that encompasses all of her technical knowledge with a relaxing and soothing touch. “She is a master in many facets of Aesthetics and is Certified and Licensed in a full scope of Medical Aesthetic procedures and Treatments including Skin Tightening , Cold Laser Treatments, Skin Analysis, Customized Facials, Chemical Peels, Microdermabrasion, Laser Hair Removal, Laser Face & Body Treatments, Acne, and Anti-Aging Treatments. Sasha looks forward to welcoming new and past clients to her new home at NMAC. “Alfred Roberts, Operations Manager, received his Bachelor of Science degrees in Healthcare Administration and Business Management from Kent State University in Kent, Ohio and a Master of Science in Public Health from New York Medical College in Valhalla, New York. “Alfred has had a wide range of experience in both the insurance industry and healthcare industries and has held the roles of Financial Analyst, Claims Analyst, Practicum Coordinator and Hospital Special Projects Manager. “His specific areas of expertise include: operational assessment and improvement, re-engineering office processes/procedures, data analysing, compliance programme development, risk management, strategic business planning and marketing, and healthcare project management. “As NMAC expands it is imperative that we maintain and improve on the coordination and general operations of the Center. There are a host of exciting additional services that will be introduced in the very near future where the addition and expertise of both Sasha and Alfred will ensure that we continue to be the first consideration of the community for their Medical and Aesthetic needs without compromising the quality care and effective results that we have come to be known for” adds Dr. Brown. Congrats to NMAC and the new additions to the team. Congrats Nephew you have so much Great vision Keep it going, well done Dr. Brown !!!! Yessi! Cedarbridge in the house! Proud of you both! It’s especially good to see my old friend Sasha excelling I’ll have to stop by soon.